Inge Fryklund’s views on drug policy evolved after years seeing the unintended consequences of hardline prohibition during her years working in Chicago as a former prosecutor in the Cook County State’s Attorney’s Office and as a legal consultant with the U.S. State Department and armed forces. She is now a member of the group Law Enforcement Action Partnership (LEAP, formerly Law Enforcement Against Prohibition). She speaks passionately about the intellectual dishonesty of the war on drugs. 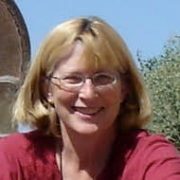 A lawyer with a doctorate in human factors (human behavior-centered systems design), Fryklund spent five years in Afghanistan, including work with USAID, The United Nations Development Programme (UNDP) and the Army and Marine Corps, working on governance, rule of law and elections; she has also worked on projects in Iraq, Tajikistan, Kosovo and the West Bank. Her prediction for nationwide legalization of marijuana? This is something which is going to happen. It’s just a question of how quickly. There’s been a sea change in how people in the U.S. think about drugs. It’s going to take another couple of rounds of states rethinking their policies. Colorado is far ahead, Oregon not too far behind. The fact that Colorado legalized and the sky hasn’t fallen, that’s a very powerful argument for everybody else. I would put money on the fact that, within a decade, we are going to see marijuana legalized everywhere and it’s just no big deal. Incidentally, back when prohibition of alcohol was repealed, a big argument was the money. “Follow the money” is a good lesson in any context. Illegality is the killer. Any business which is illegal necessarily is going to produce violence. (Current federal prohibition) is keeping in existence a whole business model that requires violence. Businesses always have disputes, interpretations of contact. Just like during prohibition of alcohol, private enforcement took over. That’s part of what Al Capone provided in Chicago, dispute resolution services. Why not favor reduced sentences for nonviolent drug offenses? Reduced sentences for people who are nonviolent is a step in the right direction, but let’s turn off the source. I don’t. Back in the 1960s at the University of Michigan, I tried smoking. I could never figure out how to inhale. For the last 15 years I’ve worked with USAID overseas, I still have to maintain a security clearance. Just for that reason I don’t. I’m also a big fan of all the beer and wine in Oregon, so I’m not feeling deprived. Prediction for the industry in 20 years? I suspect it’s going to end up a lot like the craft brewery industry. In Colorado, Washington, Oregon, I don’t think there is the demand for marijuana or anything else that there is for alcohol. The whole country is not going to grow up to smoke. it’s more niche than everyone having glass of beer or wine for dinner. My guess is, it will be a product people enjoy having, there will be competition among different strains, just they way there is with craft breweries. In a legal market there will be products, similar to alcohol by volume, more finely graded. We will get to the point of having a designated driver for smoking. What’s been most surprising about the first states to legalize? 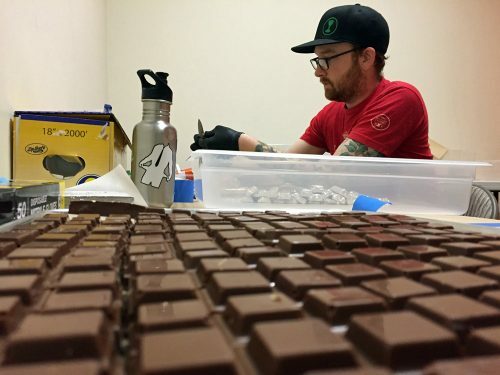 Was the Colorado edibles rollout done poorly? That’s a case of parents not thinking through and having things around that are attractive to children. Like detergent capsules that looked like candy. We need more education for parents. Parents know to keep Tylenol in a place where kids can’t get them. There’s a transition problem here from a switch from something illegal. And the labeling was not thought through. Before my mother died three years ago at 90, she was doped up on Vicodin. I bet she really would have enjoyed a marijuana brownie. Oregon is certainly paying attention to Colorado’s experience. Some mistakes are going to be made, experience will inform other states. No one has ever died of it. Characteristic she dislikes in herself? Sometimes I’m too positive that I’m right and have the best answer. Characteristic she dislikes in others? In a drug context, it’s not being willing to look at evidence. Emotional decision-making. Working in Afghanistan. A beautiful place — so interesting, so many challenges. They are the only people on the planet who have managed to kick out the British and the Russians and they will survive us also. What talent does she wish she had? I could be more musical. I started piano lessons a year ago for first time in my life. I also wish I had more talent for languages. If she could have dinner with anyone, living or dead? Some explorer — Marco Polo. My most recent marriage, but that brought me to Oregon, so it’s only a semi-regret. I’m very happy with my three grown children. I have a 15-month-old granddaughter who lives in Japan. Thank heavens for Skype. My Mac computer, always have it with me. Classical. I have one daughter who is a flute player. Also, South African gospel music. Way back in college at 19, I met a man who worked for Whirlpool. He told a story about clothes and wrinkles. The emphasis was on how to make an iron to better squash wrinkles out of clothes. The steam iron was a huge advance. Then they began to open the thought process, instead of thinking about clothes as unchanging and needing to change the iron. If you change the quality of the clothing so it doesn’t need ironing, you’ve solved your problem. Think permanent press. It’s a reminder to open up the problem, find a completely different way of looking at it. Instead of more and more police to prevent gangs killing each other, which is an iron-type solution, instead ask: “Why are these people fighting?” It goes back to illegality and Al Capone’s contract resolution. That’s influenced my thinking in all kinds of problems. Are there different ways to reach what you say your goal is?